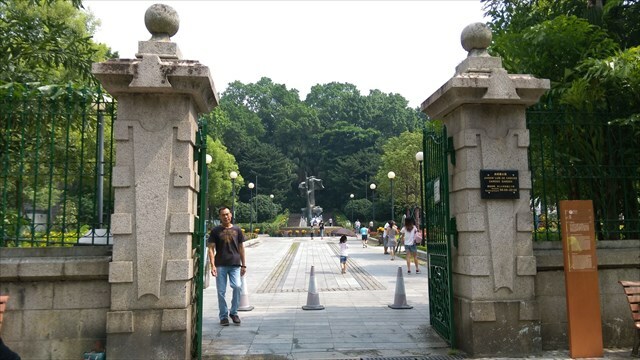 An easy cache located in a typical Macau's park. Beware of muggles as they love to do exercises or gathering there. 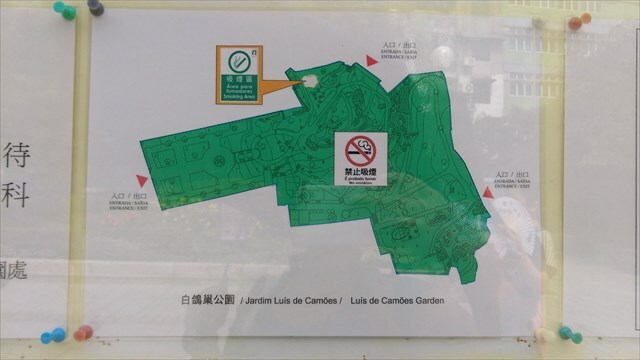 Jardim da Gruta de Camoes is called "Nest of the White Doves Park" in Chinese. In the 18th century, the park was the garden of a Portuguese merchant's house. He liked white doves and pigeons as he bred them in his park. Beautiful scenes appeared as this park was always occupied by hundreds of these birds. That was how the name of this park came from. The park provides more than simply beautiful views of the hills, trees, pavilions, and relaxation areas. It is the inspiration for the enlightening library of cultural heritage from Portuguese poet Luis de Camoes. Transportation: Bus 8A, 17, 18, 18A, 19 and 26 taking off at M201 PRAÇA LUÍS CAMÕES 白鴿巢前地 and walk 1 min. Jura lbh ner snpvat gur gerr ba gur ebpx jnyy. Vg vf ng lbhe yrsg unaq fvqr. Fgrc hc naq vg jnf nebhaq ol ebbg naq pbirerq ol fgbarf.